Lyme disease (LD) is one of the most frequently diagnosed tick-borne bacterial diseases worldwide. It is caused by species within the Borrelia genus, spread by the Ixodes ticks. The initial sign of the disease is a ring-shaped rash with occasional central clearing, called erythema migrans (EM). If untreated, LD can result in early disseminated manifestations including generalized EM, carditis and central nervous system involvement, and late manifestations, including arthritis. LD generally responds well to a short course of antibiotics. However, about 10–15% of patients with Lyme arthritis fail the initial course of antibiotics, and some of those develop a chronic inflammatory arthritis optimally treated with local or systemic immunosuppressive agents. This is likely to be an autoimmune process, and these patients have similar human leukocyte antigen types as observed in patients with rheumatoid arthritis. 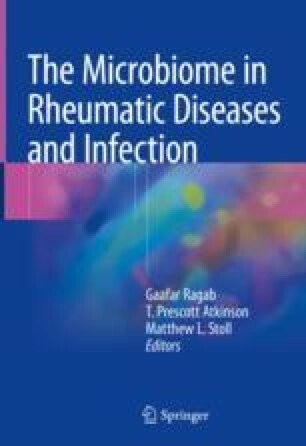 Lessons learned from this illness may help us better understand the pathophysiology of postinfectious and possibly other forms of idiopathic arthritis as well.